K-L-N Concentrate is a rooting solution that contain ingredients to promote vigorous root growth in trees, foliage and flowering plants. Use it for propagating cuttings, air layering and as a transplanting drench for newly potted plants. Drench, dip or mist your plants to stimulate new root growth. 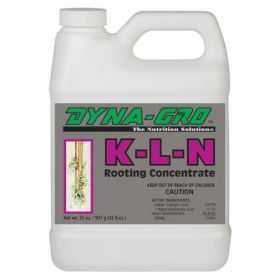 Growers highly recommend K-L-N to increase production of cuttings.